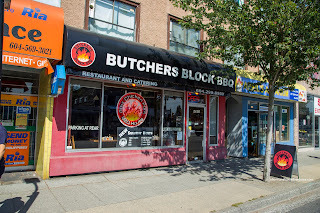 For those who live in the North Burnaby and surrounding areas, the sight of Burger's Etc... has been a constant on the corner of East Hastings & Gilmore. For me, they served up great burgers with some BBQ on the side (at least that was my opinion). That wasn't really only my opinion as it topped a TV poll as well. On the topic of TV, even the owner even made it onto Love It or List It! Then one day, I noticed a name change. 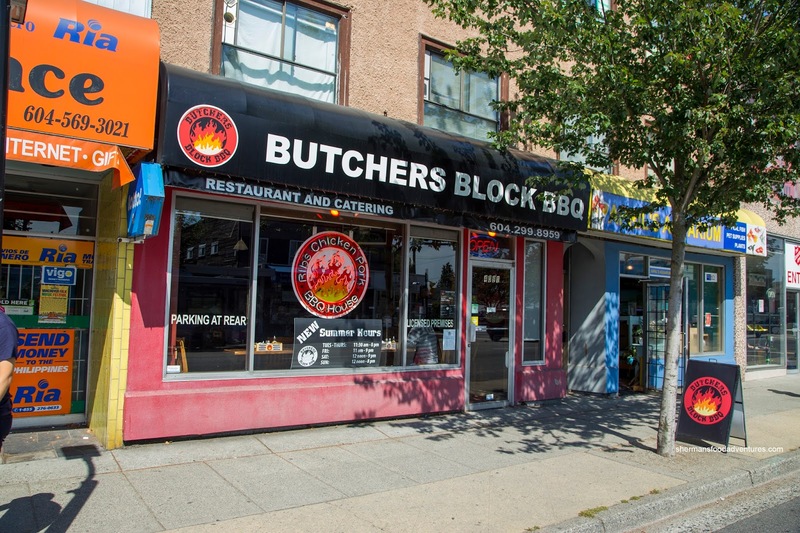 Now known as Butcher's Block BBQ, the place is still under the same ownership, but they have put all of the restaurant's focus on BBQ (no more burgers!). Juju was a bit disappointed with the exclusion and in protest, only went for an order of Chicken Wings. Well that and he wasn't very hungry since he had a BBQ to go to afterwards (the boy can eat!). These were decent for non-fried wings as they skin was fairly well-rendered and lightly charred. 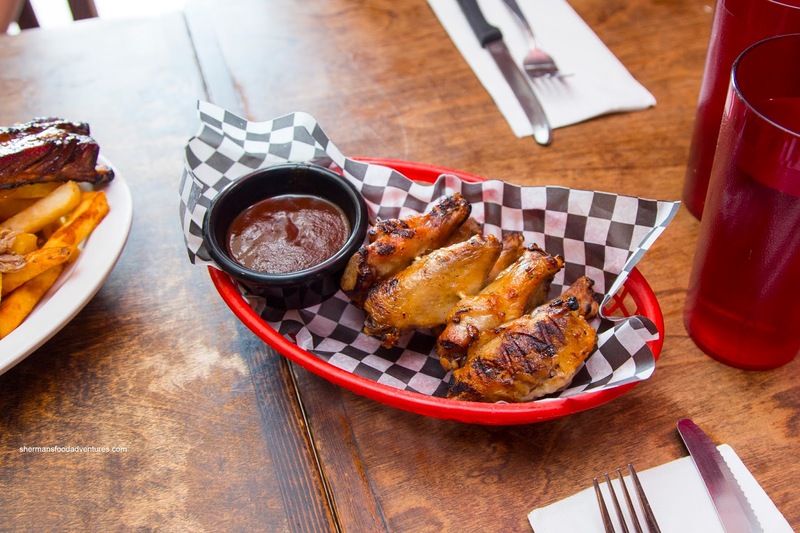 The meat wasn't succulent per se, but they weren't dry either. That also might've had to do with the sauce being served on the side too. 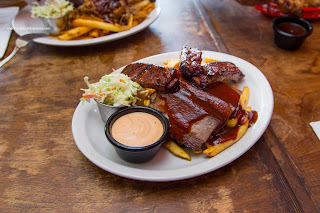 Kaiser Soze went for the lunch platter consisting of Pulled Pork and Ribs with fries and coleslaw. As much as the pulled pork was not super moist, the amount of BBQ sauce helped in that regard. 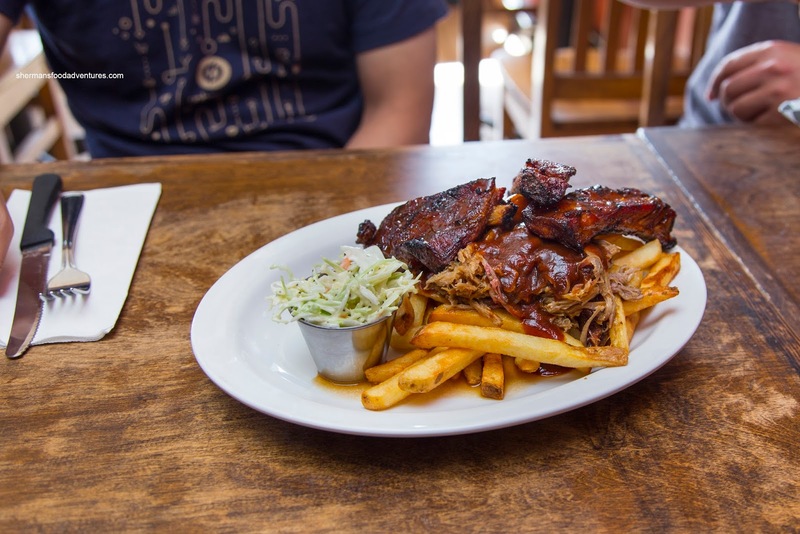 I did like how it wasn't soaked in grease, which typically happens when pulled pork is sitting its own juices.